I decided a few months back my blog was looking less than sharp and searched around for a new theme within my limited budget constraints. Etsy is my go to for all my needs or wants, and as usual, I wasn't disappointed. 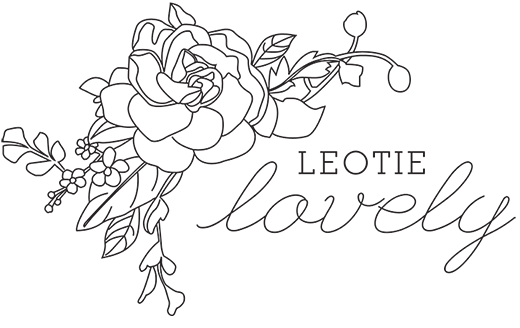 The choices were so vast and the quality so high I struggled for weeks to decide on which theme suited Leotie Lovely best and even after choosing had heaps requests to be made and questions to be answered. Chelsea, owner of Bella Lulu Ink won me over with her brilliant designs and vibrant personality. It's very rare you can feel kindness though a computer screen but this gal had a warmth that could rival a good hug and her genuine goodness was engaging. She happily and patiently helped me customise the template I had chosen to ensure all aligned with my brand and aesthetic choices. To add to the personal touch she has awesome customer support and a slew of clear and concise tutorials for instillation and clarifications. The whole experience left me feeling blessed and inspired to ensure my daily interactions embody as much genuine interest, investment and sincerity as Chelsea lent to me on what was essentially a business-to-business transaction which went well above and beyond the call of duty on all levels. Should you need any bloglovin' design, you'll find BELLA LULU INK HERE or on ETSY.